For point of reference (thanks to my buddy Dr. Joe Webb) here below is where we were in 2010. Not even a hint of mobile and, my goodness! look what we had . 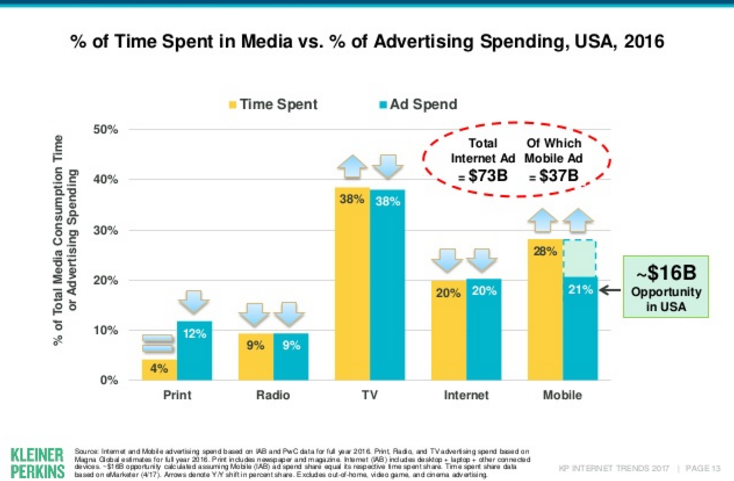 . . 26% of all ad spend, now we are at 12%. 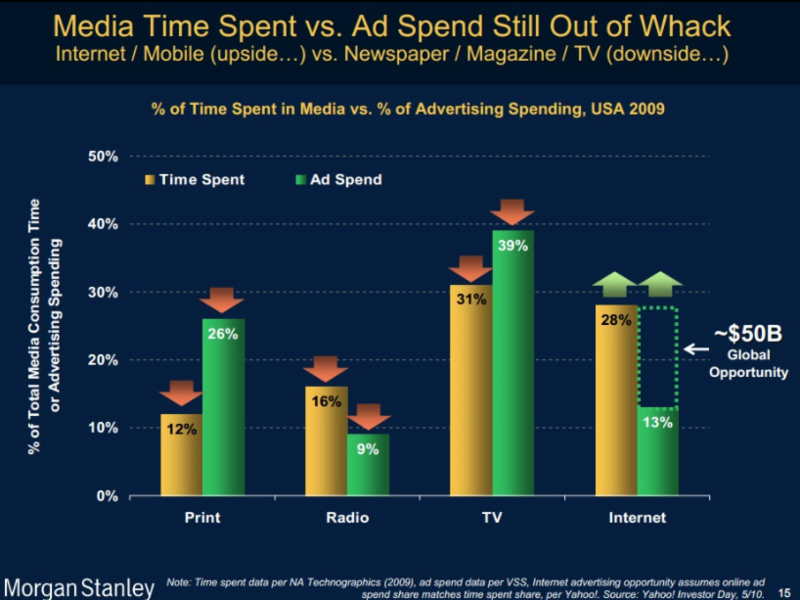 We have gone from 12% of all time spent with media to 4% in seven years. Here we see where a good portion of "old media" dollars are residing. This is a take no prisoners situation. 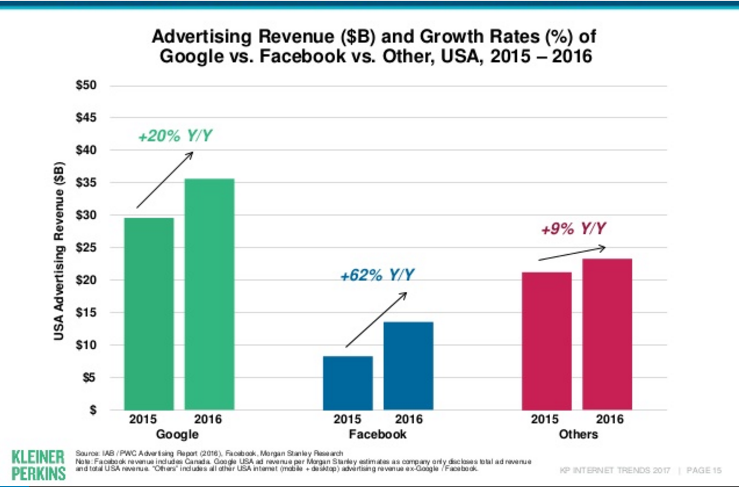 Despite the howls of ad fraud, bots, and assorted corruption, nothing is stopping this revenue juggernaut. Should we expect a turnaround? No, not any time soon. 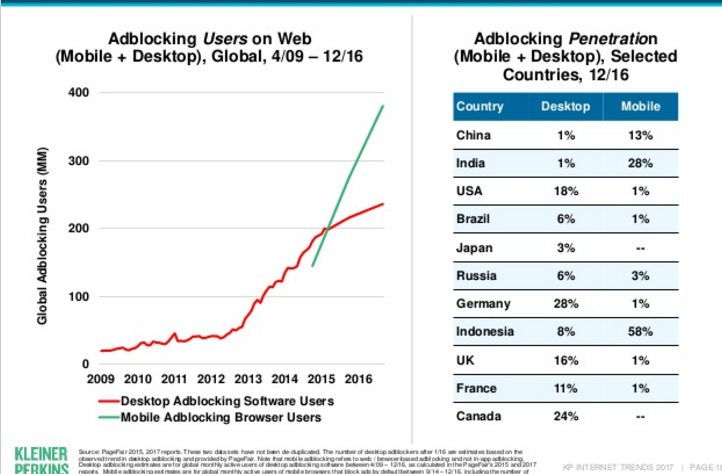 Ad blocking is still on the rise and especially in the next revenue frontier of mobile. I have said for years to forget advertising as your number one source of revenue and get your money directly from the consumer. Is that hard? Yes. Is it doable, Yes. 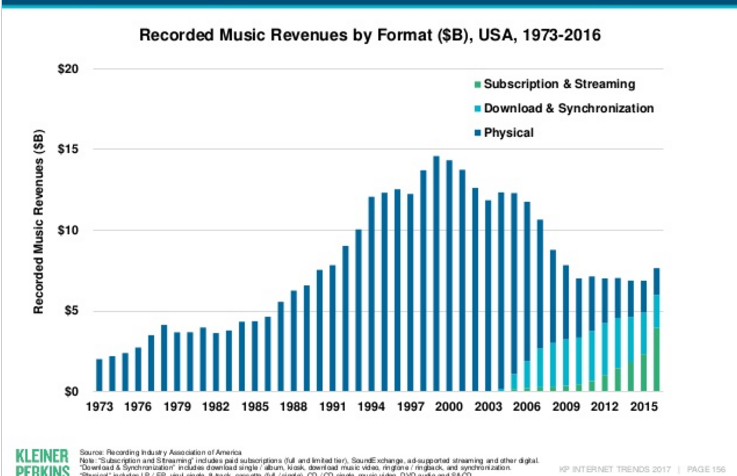 I hope this chart helps dispel those pundits who keep harping on the return of plastic records as a metaphor for print. There is no return of either plastic records or CD's. As I have written about several times, the real next big game changer is Automatic Speech Recognition.(ASR). 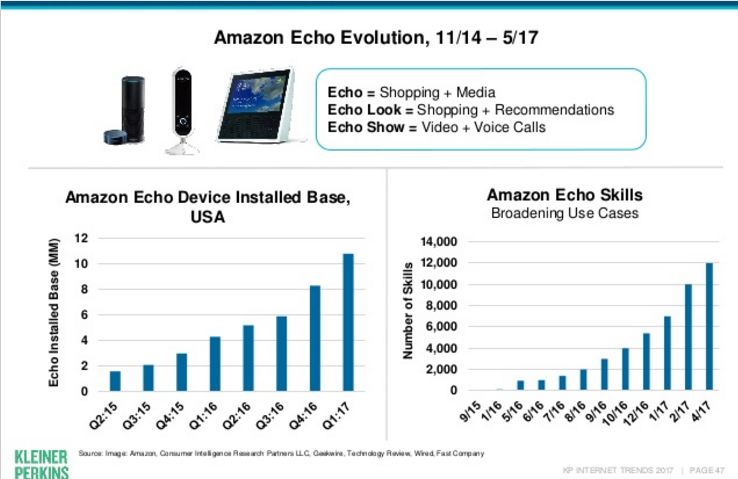 This combined with Intelligent Voice Control Systems (IVCS) is the gateway to the Internet of Things (IOT). ASR will be as ubiquitous as cell phones if for no other reason than all smart phones and our connected homes will be powered by it. Keep watching this space. I have saved perhaps a dozen other slides but this is enough for now.